But would you buy a Padfone? Asus hopes its close partnership with Google will lead it to be the first company to offer devices running Android Jelly Bean - version 5.0. Asus prides itself on its Android upgrade efficiency, as it was the first to provide tablets running Honeycomb and the first to push the Ice Cream Sandwich update to its tablets. Benson Lin, Asus' Corporate Vice President told TechRadar: "Asus is very close to Google, so once they have Android 5.0 I think there will be a high possibility that we will be the first wave to offer the Jelly Bean update." 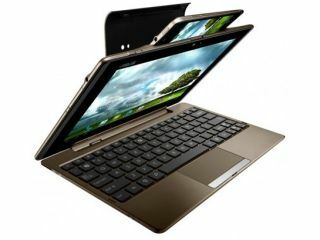 Asus announced its 3-in-1 Padfone device at MWC 2012, which sees a mobile phone, tablet and netbook combined into one device running Android Ice Cream Sandwich. Asus hopes the Padfone will help it gain traction in the mobile market and if it produces quality handsets, the promise of a speedy upgrade to Android Jelly Bean in the future may see consumers flock to the Taiwanese firm. We've already heard from LG that it is committed to upgrading its 2012 handset range to Android Jelly Bean once it becomes available, so it will be interesting to see which manufacturer can turn it around in the shortest amount of time.